the Tianqiao & Chrissy Chen Institute to bring you the 2018 Symposium. We are pleased to host the 83rd Cold Spring Harbor Symposium which will focus on Brains & Behavior: Order & Disorder in the Nervous System. Previous Cold Spring Harbor Symposia on Function & Dysfunction in the Nervous System in 1996 and Cognition in 2014 explored differing themes in brain research and the 2018 Symposium will build on these successes in exploring the tremendous recent progress in neuroscience and technologies and how these advances may be used to improve brain health and address psychiatric and neurological disorders. The Symposium will begin at 7:30 pm on Wednesday May 30th, and end on Sunday evening, with normal departures on Monday June 4th. 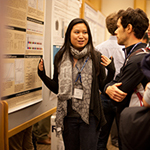 The Symposium will include nine oral sessions (invited speakers only) and two poster sessions covering the latest research in diverse areas of behavioral and brain research. The annual Dorcas Cummings lecture will take place on Saturday, June 2nd. 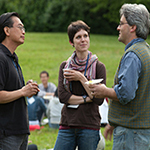 Social events throughout the Symposium provide ample opportunity for informal interactions and will include a wine-and-cheese party, a beach picnic, cocktails and banquet, and departure brunch on Monday June 4th. Ten Tianqiao & Chrissy Chen Fellowships will be awarded to young scientists presenting their latest research at the 2018 Symposium. Award decisions will be made by CSHL and TCCI on the basis of scientific merit and approach. Young scientists (graduate students, postdocs and junior faculty) interested in applying should submit abstracts by March 31 AND send a brief one-paragraph resume/bio to Val Pakaluk. Chen Fellows will receive a stipend covering the full academic or student attendance package (see below). 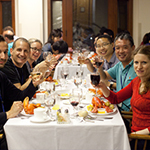 CSHL's Corporate Sponsor Program provides additional limited support for students and postdocs in need of financial support. Please apply in writing via email to Val Pakaluk and state your financial needs. Preference will be given to those who submit abstracts. The designated hashtag for this meeting is #cshlsymp18. Note that you must obtain permission from an individual presenter before live-tweeting or discussing his/her talk, poster, or research results on social media. Click the Policies tab above to see our full Confidentiality & Reporting Policy. 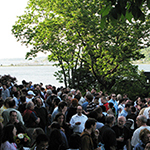 We hope to see you at Cold Spring Harbor in late May.